1. News stories on this issue are becoming more commonplace across the country. To what news issue does this cartoon refer? 2. 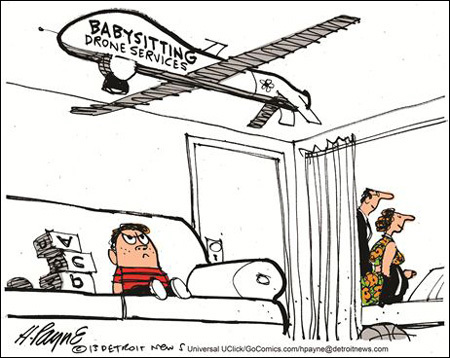 What do you think of drone use in the U.S.? (Would it make a difference in your answer if drones are used by the military only; or by law enforcement, the media, private companies, etc.?) Explain your answer.